This week, as the schools return to normal, we have a small celebration to be had, some family time, memories and cuddles to be had! 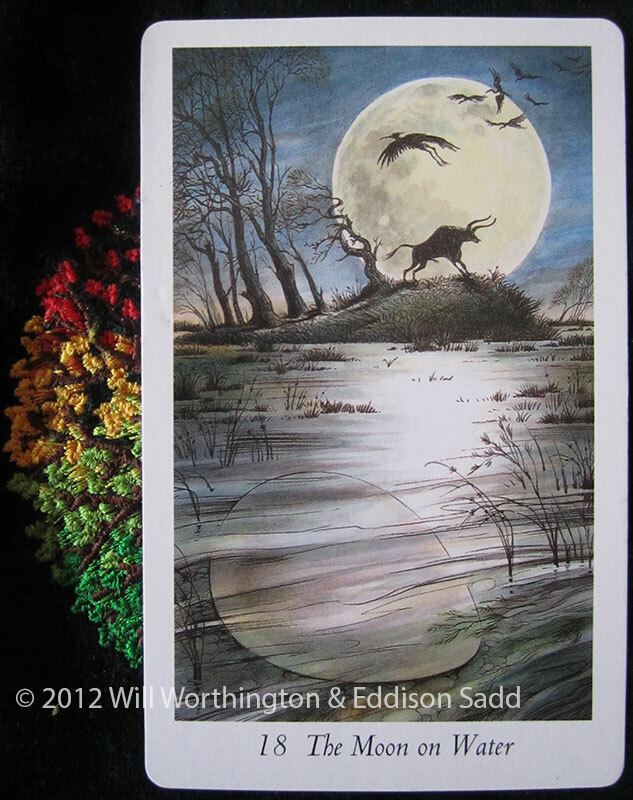 However, the Moon on Water comes out for us this week and this week, I have to reflect on events two years ago. Holding a baby for the first time, giving them their first cuddle, their first kiss, stroking their little head, taking the time to have the first few moments with them. Smelling their little smell and being in charge of this little delicate human being that you birthed, that you had carried around for nine months. And almost in the blink of an eye, they’re walking, talking, answering you back, being cute, eating you out of house and home with a cheeky little smile on their little face. My daughter is the last and youngest, but she’s got two older brothers wrapped around her cute little fingers. The eldest knows it, the youngest boy child hasn’t worked that out quite yet. With the Moon on Water, I want to reflect this week on things that have drastically changed our lives. That egg in the water could be anything, a child, yes, but a business idea, a new project, a house move, a house extension. Literally, anything. It takes months of planning for certain things to come to fruition. A successful pregnancy has a finite period, but some things in life don’t have a set time frame. So I ask you, what plans have you got and what time frame are you planning on? What if it goes off plan? What if your plan doesn’t come together? What will you do? What can you do? You won’t have all the answers at the time you need them, and the answers are different for everyone. The trick, I think (and the Moon on Water hints at this) is to look within and see things in a different light, change your perspective, slightly. Allow your intuition to surface and don’t push for answers right here, right now. 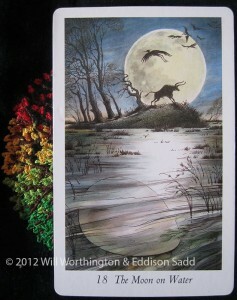 Wildwood Tarot was used for this and you can find it at Will Worthington’s site. Now, please excuse me whilst I go and organise a wee party, or two. But if you’re ready for your answers, you can book your private reading, right here. I have spent all weekend agonizing over a very personal and painful decision, believing that I need to act on it very soon. This reading has come at the right time, and reminded me that I can wait a little longer, and all will settle in time. Thank you, Louise.